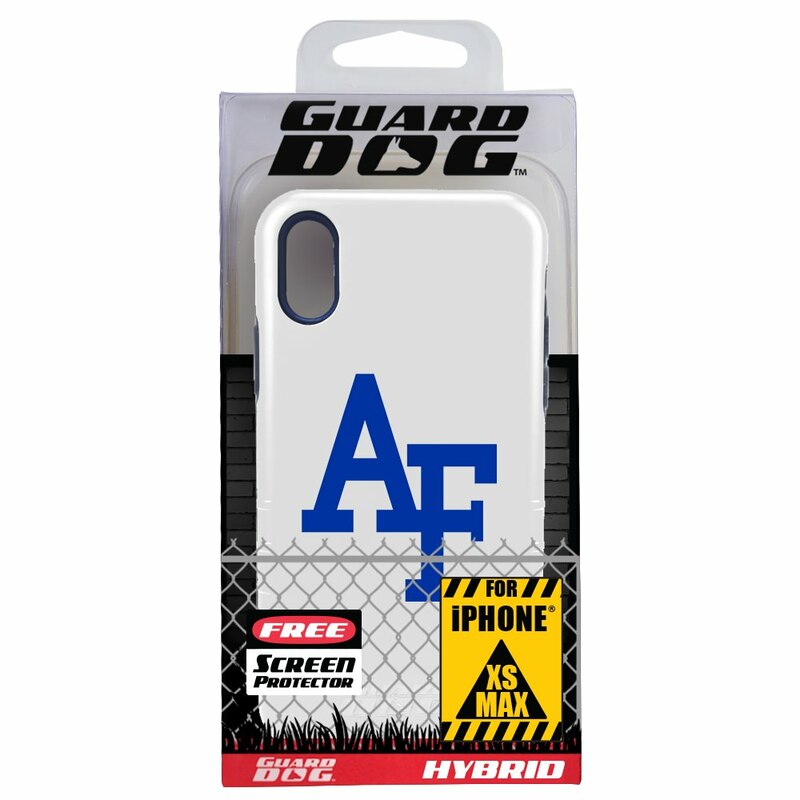 Next generation phones deserve next generation protection! 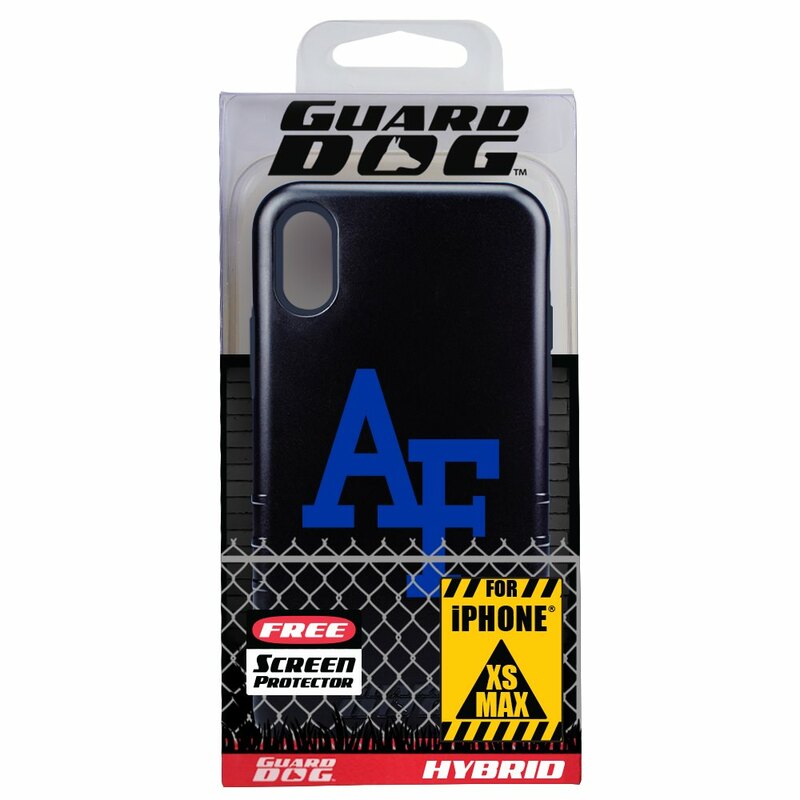 Keep your iPhone Xs Max safe and sound with the Hybrid Case from Guard Dog®! 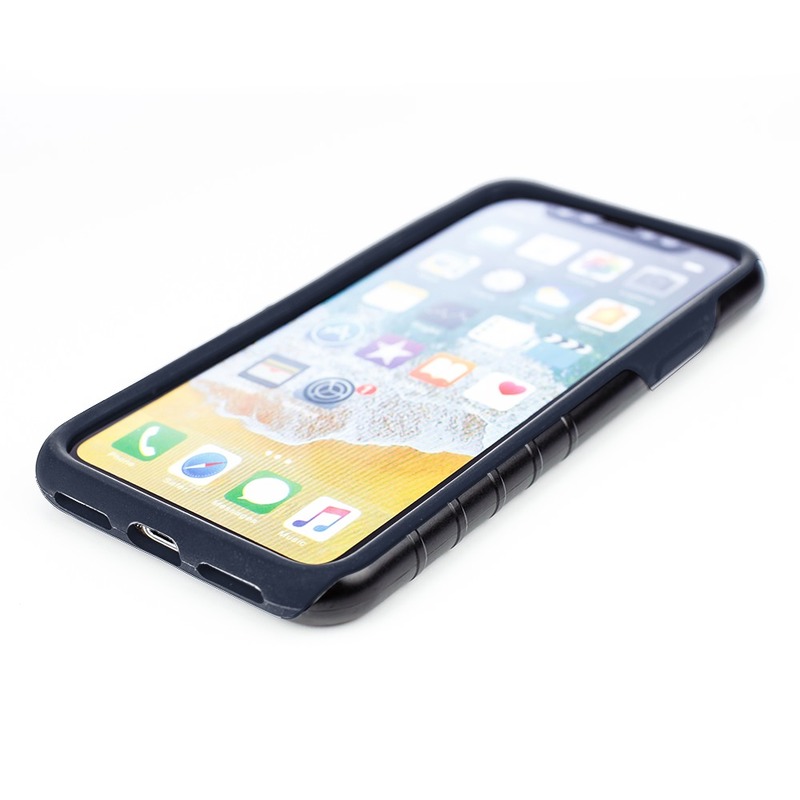 This highly protective case was designed specifically to fit the contours of the iPhone Xs Max. It will protect your phone while leaving its unique style intact. 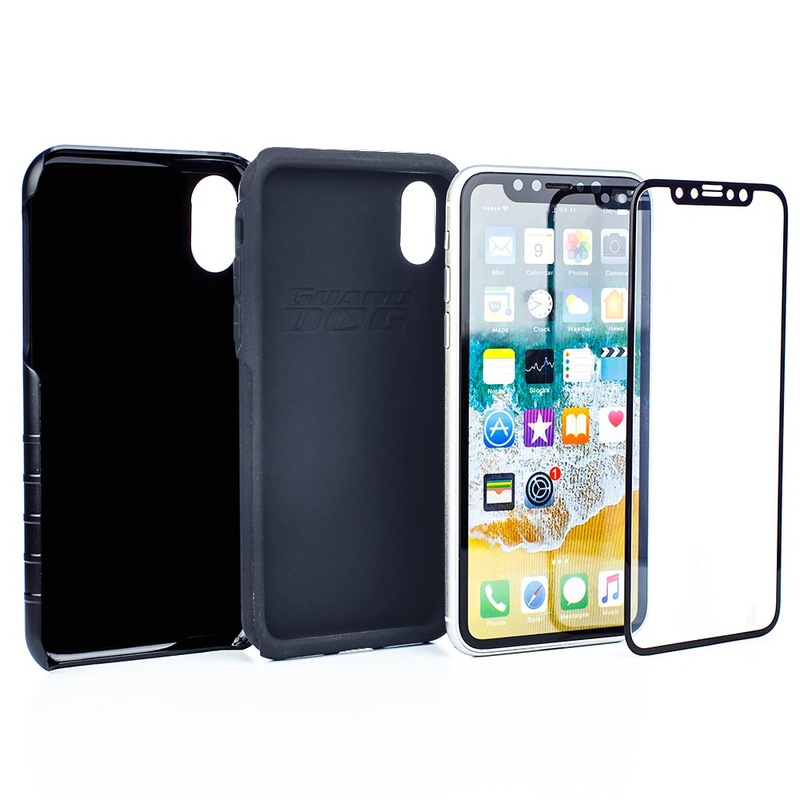 The Hybrid Case comes in two parts: a silicone rubber liner and a sturdy outer shell! These two layers do double duty, offering major scratch resistance while protecting your phone from drops with their shock-absorbent qualities. 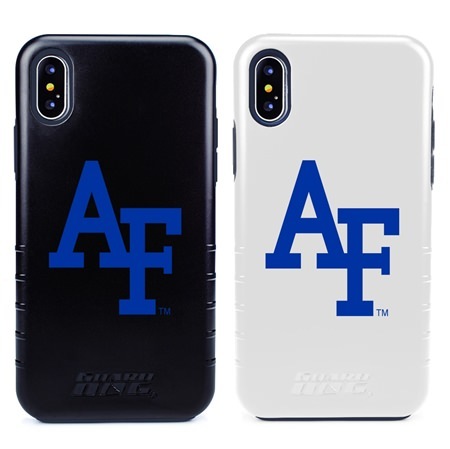 This slim, yet durable case features the Air Force Falcons logo and is a great way to show off your school colors! It also comes with a tempered Guard Glass screen protector! This tempered glass will keep your screen safe while also providing maximum clarity. The Hybrid Case snaps on with ease and offers full access to all your phone's buttons and ports. 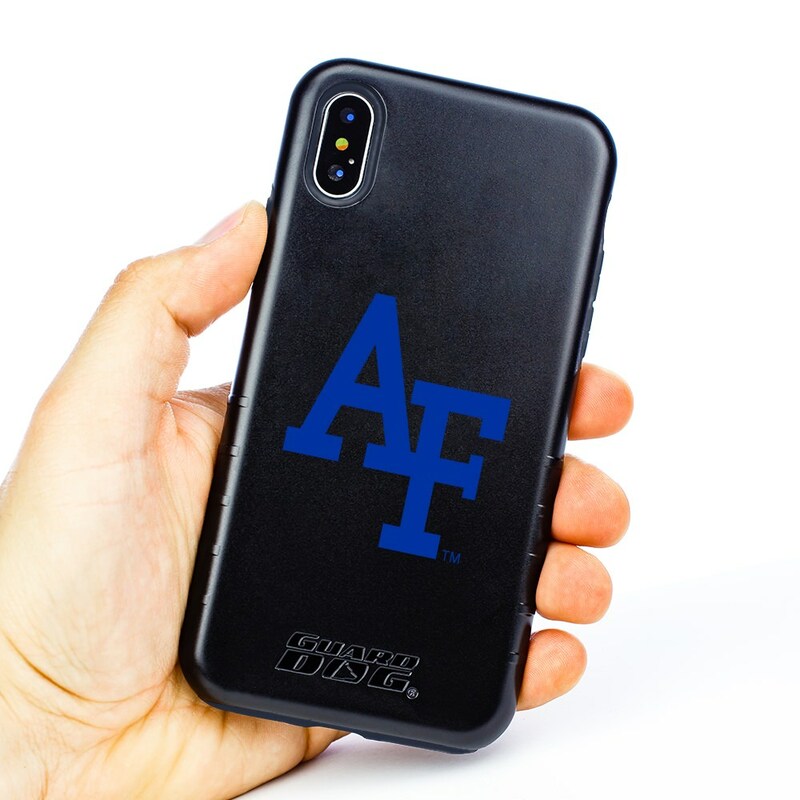 When it comes to keeping your iPhone Xs Max safe, accept no substitutes.